JD Allen is a deep and thoughtful person. None of his albums have been done on the fly because he does not do anything on the fly. Mr. Allen is also erudite; wise beyond his years. He is contemplative in music just as he is in life. This is where the studious nature of his music comes in because he is deeply informed about musical and extra-musical theory and this colours his music and also lends a magnificent and credible and deeply moving aspect to his music. That comes from being steeped in the blues, from which he grew into the profoundly beautiful music that he plays today. But Mr. Allen is also a jazz musician. For this there is no script in life as there is in music. The impulse to adorn any given phrase with a fifth or a seventh or with a radical inversion of a harmonic line comes from the profound knowledge and experience of the blues as much as it comes from the elasticity of the idiom of jazz itself. Metaphors may be built on a minor variation—the blues—or on Arnold Schoenberg’s 12-tone system, which might be intermingled in a series of melodic excursions that inform the song. Whatever the thought, it is borne out of both logic and emotion and that is rare in an improvising musician. However there is nothing commonplace about JD Allen or his music. He is a commanding presence as he lets loose in that magisterial tone of his. Mostly he eschews vibrato and relies less on that kind of sentimentality—even in classic ballads such as “Stardust” and yet there is warmth that he is able to generate in-the-moment. What makes the music stick like a burr in the mind’s mind is the fact that Mr. Allen is a profoundly gifted storyteller. His magnificent solo performance on “Stardust” and his deeply spiritual rendition of “Pater Noster” give credence to this aspect of his character. His is a riveting voice that is cognizant of an upbringing in the hard-edge of the blues. 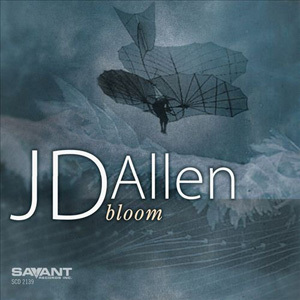 To blur and soften that edginess JD Allen adopts a musical fiction that is akin to a distinct flight of enchanted fancy that is neither strenuous nor out of place. With his superb choice of notes, even if he uses dissonance to meld phrases together Mr. Allen manages to create short and pithy lines as well as exquisitely long lines filled with the ululation of seemingly a million notes. His rousing version of the spiritual version of “Pater Noster” is a breathtaking example of how his music combines short and long lines to adorn this hymn. Track List: Jack’s Glass; Bloom; The Secret Lives of Guest Workers; The Dreamer; A Throng of Millions Can Be One; If You Could See Me Now; Stardust; The Rule of Thirds; Pater Noster; Car-Car (The Blues). 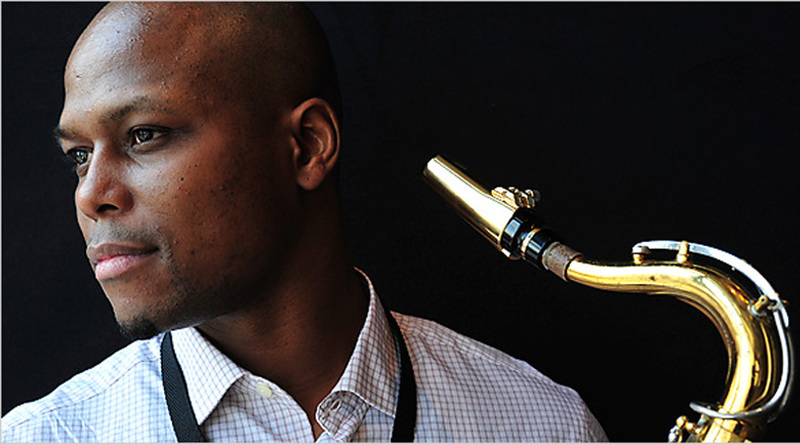 Personnel: JD Allen: tenor saxophone; Orrin Evans: piano; Alexander Claffy: bass; Jonathan Barber: drums.